While the HP Pavilion Gaming 15 Laptop is now available at a starting price of Rs 74,990, the Omen 15 laptop is available at a price starting Rs 1,05,990. 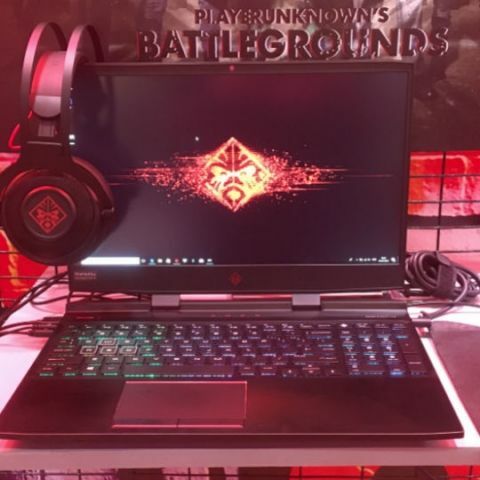 HP Inc India has unveiled its new Pavilion Gaming range targeted at mainstream gamers and the new HP Omen 15 for performance and enthusiast gamers. The HP Pavilion Gaming range will provide a combination of optimum gaming experiences, value and versatility for everyday use. The company claimed that the HP Omen are more powerful laptops in a smaller form factor than the Pavillion range and comes with an option to buy the world’s first headset with active earcup cooling technology as one of the gaming accessories. Sumeer Chandra, Managing Director, HP Inc India said that the company’s aim is to make gaming more mainstream and enable the masses to participate in growing esports phenomenon in the country. For Vickram Bedi, Senior Director, Personal Systems, HP Inc India, the company is building an industry-leading gaming ecosystem that appeals to all segments of the market. 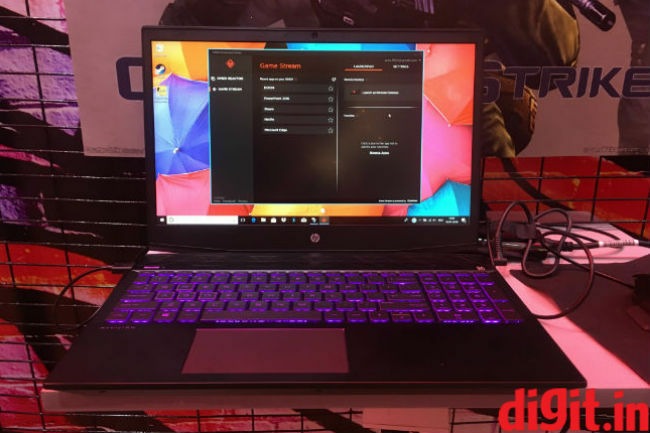 “Omen by HP is constantly setting new standards for technology that gives gamers an edge and with HP Pavilion Gaming, casual gamers get powerful game play and versatility,” Bedi said. The HP Pavilion Gaming 15 Laptop combines portability and a solid hardware for gameplay, content creation and productivity. The laptop comes with a robust cooling solution in the form of dual fans with exhaust vents located on the back corners of the laptop. It is powered by high performance core mobile 8th Gen Intel Core i7 H-series processor and comes with a flexible variety of storage options and dual storage option. In the graphics department, it is fitted with NVIDIA GeForce GTX 1050Ti card. The 9.8mm thin narrow bezel 15.6-inch display allows immersive visuals complemented with dual speakers custom tuned by B&O Play with HP Audio Boost technology. The speakers are mounted at the top of a brushed aluminum keyboard deck. The laptop is available in Ultra-violet LED lighting with matching accents and the Shadow Black finish is paired with a backlit keyboard Ultraviolet color theme with color-matched printed accents on the laptop port labels. The Omen 15 laptop is equipped with 144Hz refresh rate for immersive 15.6-inch display with 7 millisecond response time and expanded functionality of Omen Command Center software with Omen Game Stream. Customers can buy a range of professional-grade gaming accessories that include the world’s first gaming headset with active earcup cooling technology and the Omen by HP Sequencer Keyboard. Built with a durable brushed top, lightweight anodized aluminum frame, the Oman Sequencer delivers on fast responsiveness, customisation and durability. The laptop sports the VR ready NVIDIA GeForce GTX 1070 graphics card with MAX-Q design, an 8th Generation Intel Core i7 processor with up to six cores and up to 16GB DDR4-2666 RAM. The laptop includes dual storage options, SSD + HDD. The large fans with a 3-phase motor and fluid dynamic bearings create less friction and consistent fan speed control in all configurations. HP Omen 15 laptop comes with a 4-Zone keyboard Lighting and the WASD anti-ghosting keys adds customised control for gamers. The stereo speakers are powered with audio by Bang & Olufsen along and a discrete audio amplifier. Those opting to wear headsets can enjoy DTS Headphone:X11 for simulated surround sound. With Omen’s Game Stream, a free remote gaming service, gamers can stream game from their Omen PC to other Windows 10 PCs with select configurations. 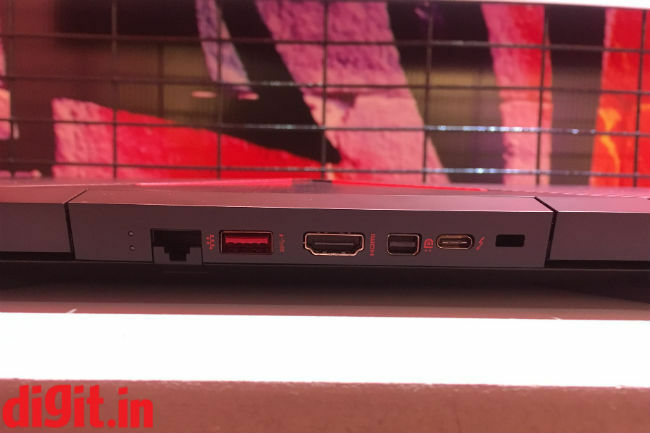 The laptop comes with a variety of ports located at the back. While the HP Pavilion Gaming 15 Laptop is now available at a starting price of Rs 74,990, the Omen 15 laptop is available at a price starting Rs 1,05,990. When it comes to accessories, Omen by HP Sequencer Keyboard will be available from August 2018 at a price of Rs 10,999; the Omen by HP Reactor Mouse is priced at Rs 3,499. The company has priced Omen X by HP Transceptor Backpack at Rs 11,999. The Omen by HP Mouse 600 and Omen by HP Mouse 800 are now available for Rs 4,999 and Rs 6,999 respectively.